Anna Dolan, our new theater teacher. Photo credit to Ayla Safran, ’15. Anna Dolan, BHSEC’s new theater teacher, has an unusual background, one that most probably haven’t guessed, despite her unique accent. Born the child of an Irish father and an English mother during a time when neither was completely welcome in the other’s country, Ms. Dolan was raised in Jamaica. She grew up studying classical ballet, attended a performing arts high school, and was even a dancer with the Royal Festival Ballet in London. But she soon realized that “ballet is very hierarchical, and not terribly imaginative.” Instead, she decided to study theater. 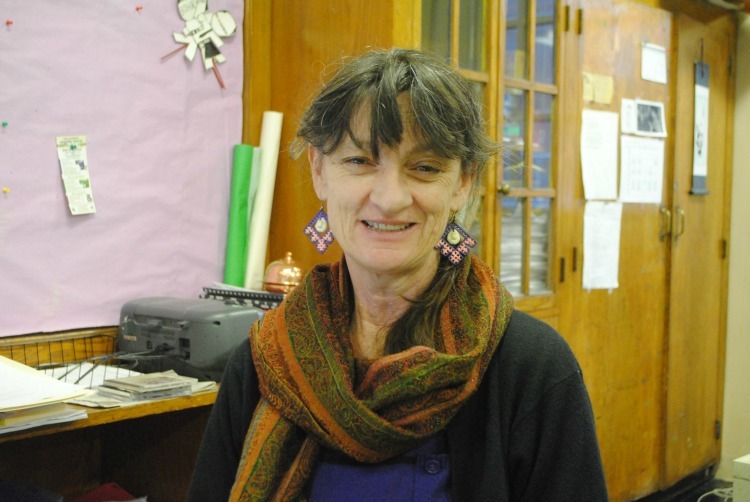 Before coming to BHSEC, Ms. Dolan taught theater at Central Connecticut State University, as well as at the Bard Young Writer’s Workshops at Fir Acres and Simon’s Rock. She said that she decided to come to BHSEC because of the age group, but also because “I am thrilled that it’s free college for you guys.” She described herself as a “working class girl,” and therefore as someone who is excited by the diversity, socioeconomic and otherwise, that defines BHSEC.